As of December 15th I'm making available 2 females from each of our Bugatti litters born early October 2016. Currently Heide's Pink and Purple Females born Oct. 9th are available. Also, Brook's Black and Orange Females born Oct. 10th are available. All had their tails long docked and dew claws removed per AKC Breed Standard and are up to date on vaccines and de-wormings. They go for another Vet. 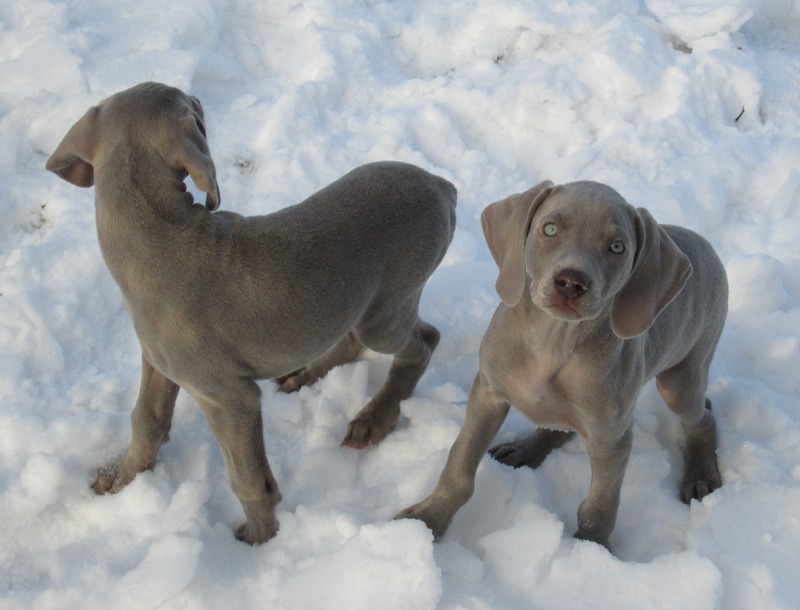 exam and Health Certificate Friday Dec. 16th and I am now accepting deposits to hold any of our available female Weimaraners. Contact Linda@grouseridge.net for more information. We ask for a $100 deposit towards the $1400 purchase price.